Thank you for visiting the Camden Civil Rights Project’s Camden News Archives page. 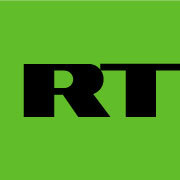 Our archives contain a variety of informative print, audio and video materials which highlight the consolidation of political power in Camden, NJ, and how it has been wielded to enrich a small cadre of political insiders at the expense of an American City. The public corruption and long term grift have had devastating impact on Camden’s local economy causing nothing short of a humanitarian crisis. In what has been termed the politics of poverty, local power brokers have privately enriched themselves through exploiting the plight of the city’s impoverished residents to obtain generous state and federal grant funds earmarked for economic revitalization. Recovery aid is then redistributed among political insiders through patronage appointments and bloated no bid municipal contract awards. This power arrangement is maintained through a Tammany Hall style of machine politics which has been dubbed La Cosa Norcross, due to the Mafioso style intimidation tactics incorporated by South Jersey Powerbroker, George E. Norcross, III, who controls the financing of local campaigns, the selection of elective and public patronage posts and the disbursement of municipal contract awards. Under this current economic regime, Camden annually achieves national recognition for being the poorest city in America. 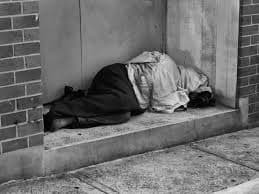 As of 2006, a staggering 52% of the city’s residents lived below the poverty line. The 2011 NJ Annual Average Labor Force Estimates, report Camden’s unemployment rate to be an astounding 19.6%. These figures do not reflect under-employed individuals or those who have fallen off the unemployment rolls because they are no longer seeking benefits. By way of comparison, The Globalist Research Center reports that in 2014, the highest unemployment rate found globally among undeveloped nations was North Africa at 12.2%. Camden has over 4,000 abandoned properties and one out of every three residential homes is vacant. Many of the buildings which remain occupied have suffered significant structural damage from flooding due to neglected repairs of the City’s hundred year old sewage system. For over twenty years Camden’s drinking water has been contaminated with toxic levels of lead. The air and ground soil have been contaminated by industrial waste produced from manufacturing plants that the surrounding municipalities rejected allowing into their communities. Between 2003 and 2011, a cash infusion of $175 million by the Norcross controlled Economic Recovery Board for Camden actually managed to reduce the economic prosperity of Camden when the grant funds were plundered through a series of pet projects directed towards political allies and Democratic campaign contributors. Camden’s economic recovery was sabotaged to such an extent that in January 2011, acting Mayor of Camden, Dana Redd, was forced to lay off 44% of the city’s police officers, over 25% of its firefighters and furloughed the entire municipal court on Fridays in an effort to close a $26.5 million gap in the city budget. At times between 2011 and 2012, a city of 77,000 residents was patrolled by as few as 12 police officers. From early 2011 through late 2013, the municipality operated under such a skeleton crew that court and municipal employees were allegedly instructed by the Mayor not to answer their telephones. The purpose of the Camden News Archive page is to draw attention to the human cost of continued apathy towards the public corruption in Camden County. Our goal is to encourage the development of community organizations and social coalitions which can effectively hold the existing power structure accountable and change the economic course of America’s poorest city. Despite the popular mythos, the existing power structure is extremely fragile. The most common question I hear is what can we do to change things? They hold the power. In his essay Of the First Principles of Government, the Scottish philosopher, David Hume, contemplates how fragile power is. Hume was confounded by the relative ease with which the many are governed by the few and how willing individuals are to “resign their own sentiments and passions” to those who rule over them. Hume concluded that the greatest power was “always on the side of the governed,” therefore even the most despotic rulers are required to persuade the people to allow them to remain in power. Put another way, those in authority always need public consent, or at a minimum, the non-intervention of the community to cause their mischief. As long as the general population remains passive and apathetic then those in power are free to impose any conditions they see fit. Change only occurs through public challenge. Hope for Camden, or Just Another Pipe Dream? Synopsis: As part of the the NBC series, Poverty in America, Brian Williams investigates America’s poorest and most dangerous city, Camden, New Jersey. Williams discovers what he refers to as “a city of staggering poverty surrounded by staggering wealth.” Williams speaks with a local parish priest, Father Doyle and Camden Police Chief, Scott Thompson, about the part crime and poverty play in the everyday lives of Camden residents. We are also introduced to Chrissy Rodriguez, a single mother and part time teacher who lost her children’s father in a drug related shooting and Tawanda Jones who mentors the Sophisticated Sister’s Drill Team, a successful youth program designed to keep kids off the street. A short documentary on the current dilemma that countless Americans are facing, from those on the streets, to those who simply cannot afford housing on their low wage jobs within a crippled economy. 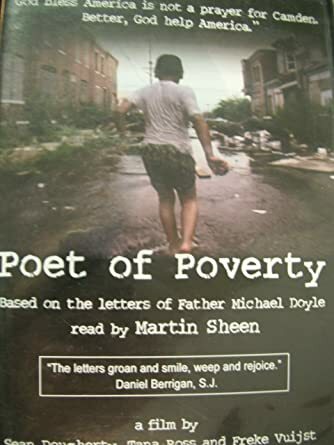 Synopsis: The 2008 documentary film, Poet of Poverty, investigates how a city like Camden, New Jersey, which is annually ranked among the poorest and most dangerous cities in America, can come into existence in one of the wealthiest nations in the world. The film is based on the letters of Father Michael Doyle, a local parish priest, which are narrated by Martin Sheen. A second two minute segment, entitled “Hope in Camden,” features Martin Sheen narrating the poem The Dolphins Danced on Arlington to the visual of impoverished children in Camden at play in a makeshift pool built from a discarded hot tub and their imagination. Brian Donohue with Ledger Live examines how the battle over the pension and benefits reform bill passed by the New Jersey legislature raised questions about the influence of South Jersey Democratic leader George Norcross. Assertions by Norcross ally Sen. Steve Sweeney that Norcross plays little role in the legislative process contrast sharply with Norcross’ own words, as captured in 2001 recordings made as part of a state attorney general’s office investigation. 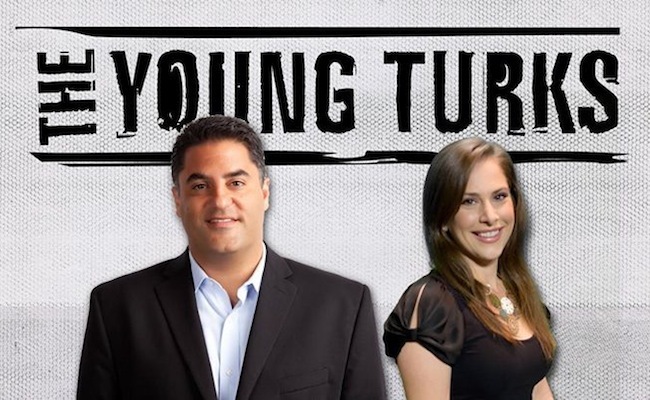 Hosts Cenk Uygur and Ana Kasparian discuss the Camden emergency lay-offs and the announcement by Camden Police Department that they will no longer dispatch officers for non-violent offenses. After decades of public corruption in Camden, the city announced it could no longer afford its own police force and would reduce costs by ending its collective bargaining agreement with the police union. Despite statements by Mayor Dana Redd and Police Chief Scott Thompson that the only way to “put more boots on the ground” was to reduce salaries, Camden announced that it would only be rehiring half of the former officers to form the new county police force. The new department will be prohibited from unionizing and the qualifications for new applicants were lowered by placing a one year moratorium on civil service testing. On May 13, 2014, Gov. 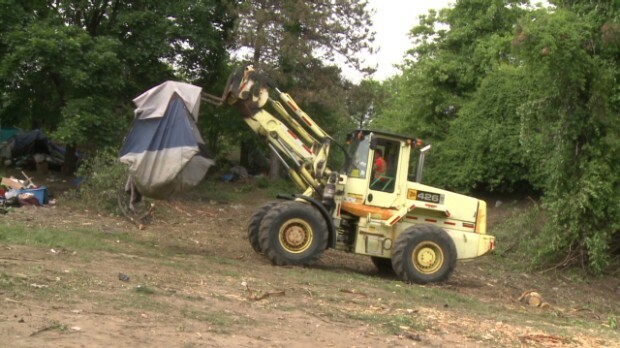 Chris Christie ordered that a tent city in Camden, N.J. be bulldozed and its residents evicted. State Department of Transportation spokesman Steve Schapiro said the push was prompted by complaints, namely from Cooper University Hospital. “They won’t have the option to come back as they have in the past,” said Camden County spokesman Dan Keashen. 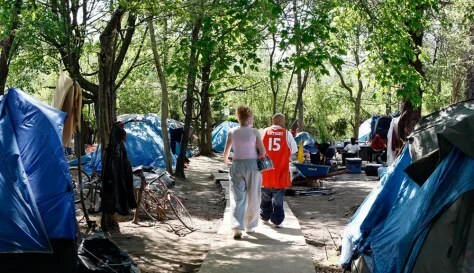 Homeless residents of the tent city discuss the eviction from their tent community and the uncertainty surrounding what comes next.